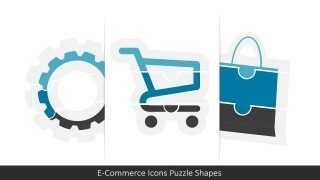 Create a colorful PowerPoint presentation for the retail industry and its customers using the Flat Shopping PowerPoint Icons. The Office template can be used to demonstrate consumer buying behaviors in relation to direct marketing and corresponding promotional banners, as well as presenting the newest fads and trends which have gained traction in the consumer community or its specific focus group. Liven up your PowerPoint presentation with the neat, yet visually-appealing icons, and ensure that your report starts strong, ends strong, and impacts the target audience with its brief, clear, and easily understandable presentation design. 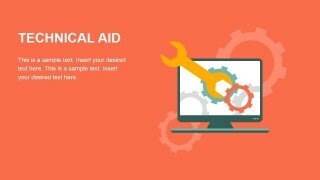 Located in the PowerPoint slides are title slides and content slides. The latter of which may be converted into minimalist infographics for marketing efforts using the shopping clipart. Also include in the PowerPoint template is a slide design which features the massive consumer mentality that has always plagued our human nature. Use the shopping icons, and market icons, to provide PowerPoint presentations focusing on proper angles and steps to illustrate the consumer buying behaviors which must be taken into account in order to raise sales merely by assuring them of the product’s quality. 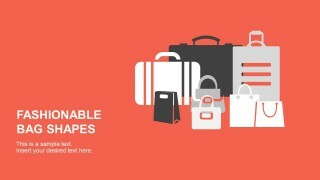 The flat shopping PowerPoint icons can also be found on a single slide in the PowerPoint presentation as sources and reference to the various types of visual aids and optical supports that are specifically designed to serve as markers and reminders of the content of the presentation design, and as visual cues for the presenter to showcase the relevant data and statistics wisely and properly. Ideal for evaluations of consumer buying behavior, the Flat Shopping PowerPoint Icons may be used in a variety of business presentations due to the flexibility of the program itself. The presenter needs only to modify the slides to fit the focus market, and be guaranteed of an interactive, visually-appealing PowerPoint presentation that will ensure that the presentation content is reliable and clearly demonstrated. 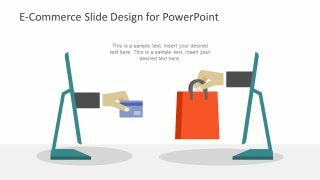 The presenter may also consider download other PowerPoint presentations featuring consumer buying behavior and shopping, such as the Flat Remarketing PowerPoint Template.